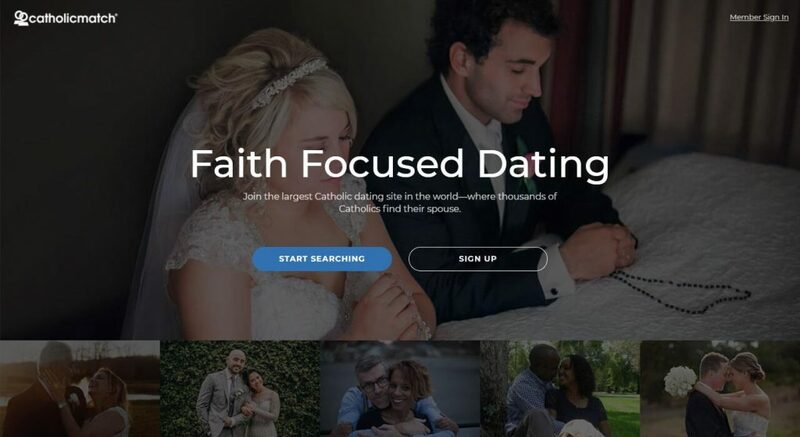 CatholicMatch.com is matchmaking platform made especially for catholic singles to find a friend or partner in life of the same belief and faith. 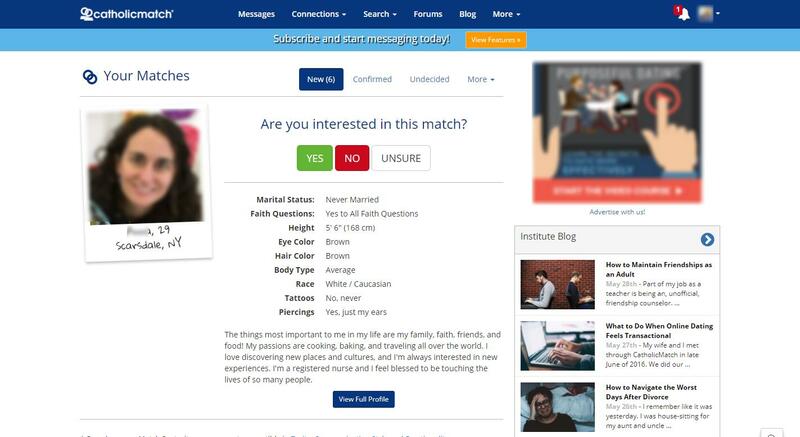 The objective of this dating site is to help members experience” dating and marriage based on faith”. 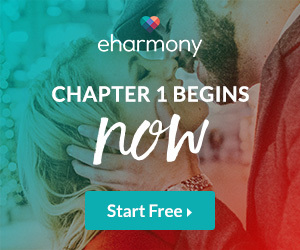 This dating site has huge number of visitors on a monthly basis making it one of the leading online dating sites to meet friend or partner who share similar values and beliefs, so neither you nor your possible partner will need to compromise your faith so as to cater for one another’s. 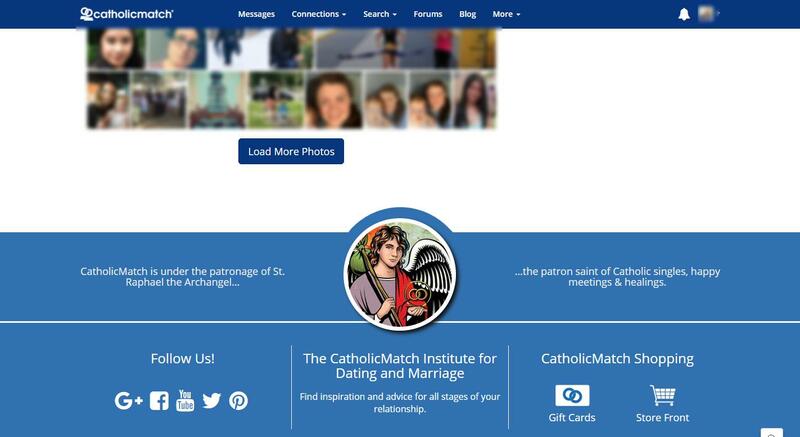 CatholicMatch.com is endorsed by many famous Catholic leaders. 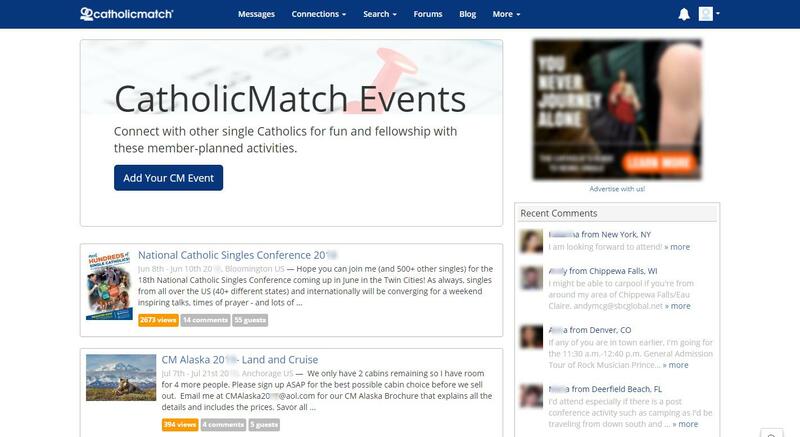 CatholicMatch.com stands out from other dating websites for Catholic singles. They receive more than 10,000 new members a month and also have about 5 times as many active users as most other dating sites. If faith is important to you and wants to meet a person with the same beliefs, then catholicmatch.com is worth trying for. Keep reading our honest CatholicMatch review to learn more. 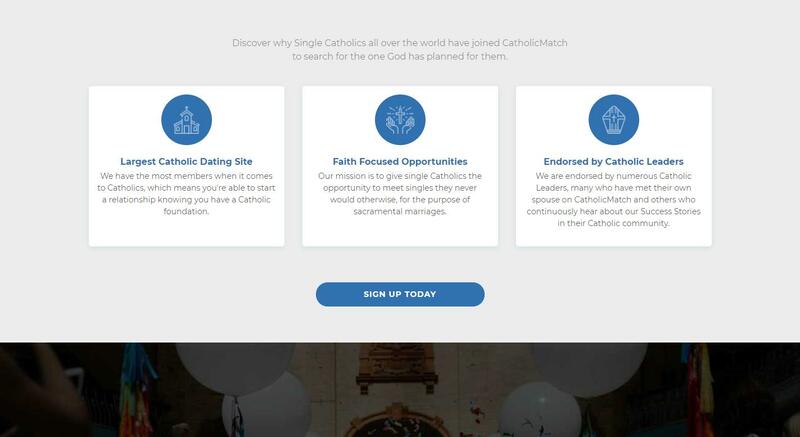 Compared to other dating sites out there, CatholicMatch.com sign-up process takes Catholicism very seriously. During your sign-up, you will need to answer questions about your faith and to know what diocese you are part of. 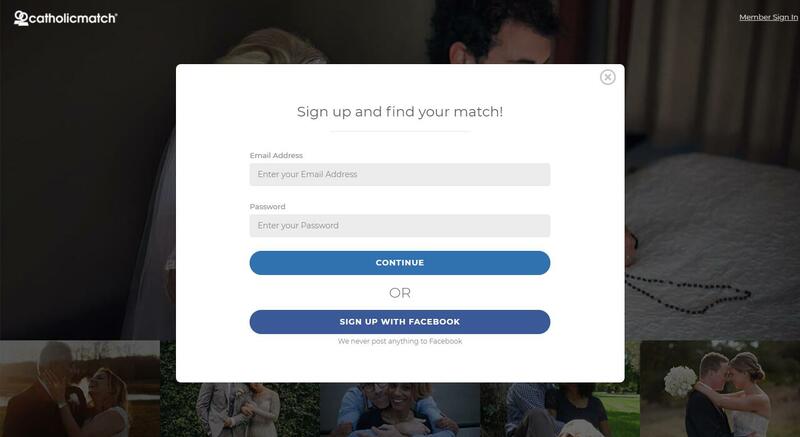 Registration process at CatholicMatch.com might take time; however it is done to make sure a better experience. 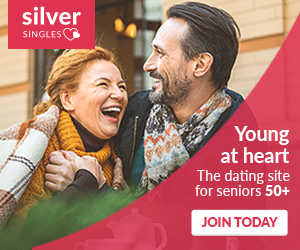 Sign-up process is free and as a free member you can create your profile, upload pictures to increase the chance of finding the right partner. What is more, video profile is also available. Free members can take the “temperament test” given by the site. This is done by means of answering some queries. After completing the test, you can see the result in your profile. Free members can also send emotigrams to others. These are small or short messages that members can send to others. They can make their own personal interview of up to twenty five multiple choice questions for others to take. You can search possible matches based on age, range, location, gender, photos and many others. But, you can’t keep in touch with others using chat or email. Prior to subscribing to this dating site, you’ll be capable of browsing other members’ profile who resides in your district. Later, depending on the subscription plan you get, you’ll be able to look through the chat rooms and forums, and send messages to others. 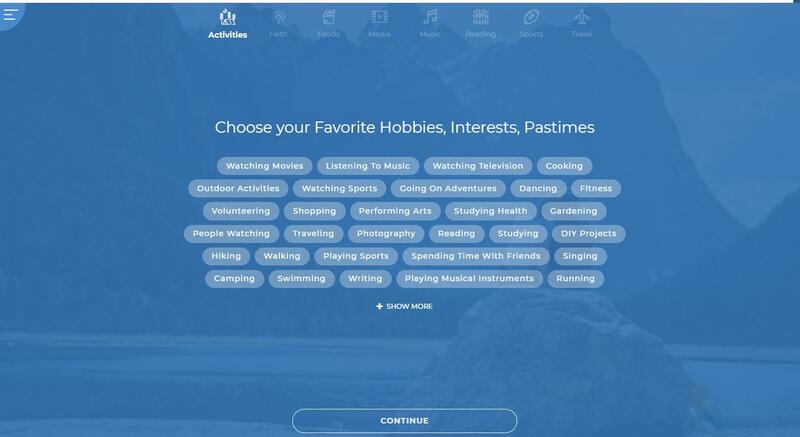 In 2014, this site is optimized for a tablet or mobile device, even if it does not have its own mobile app. What is more, rather than utilizing only algorithms in matching members, this site supports the firm development of relationships. 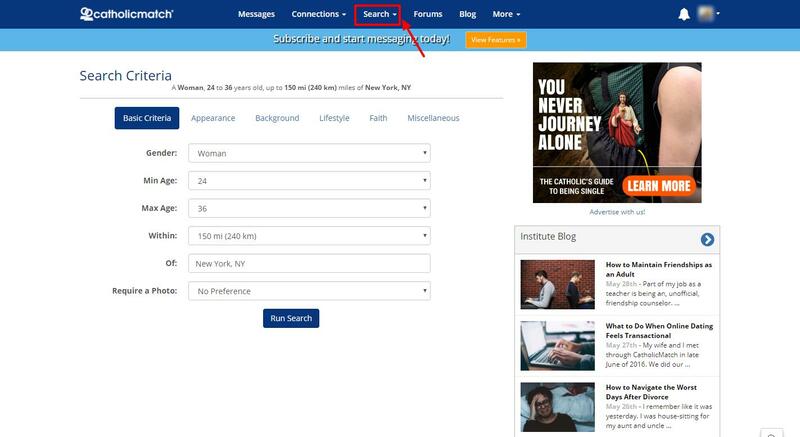 CatholicMatch.com offers forums, chat rooms, as well as blogs where members can discuss their faith in a strong Catholic community. This site provides a Christian oriented experience. Belief related features given by the members are considered when looking for possible matches. Personality assessment is provided for free, controlling the superiority of recommended matches. CatholicMatch.com has manual search that allows the member to look for a possible partner based on distance, age, belief and other advanced and simple filters. 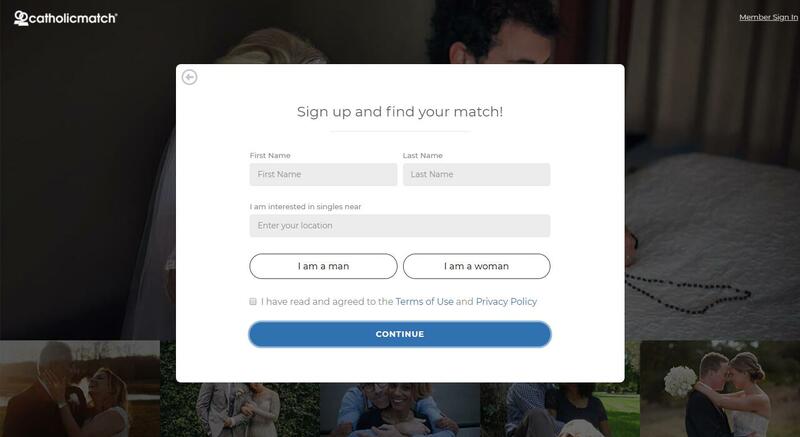 Search result also recommends matches based on member’s personality test- therefore it is extremely recommended to finish the test so as to get more compatible matches. 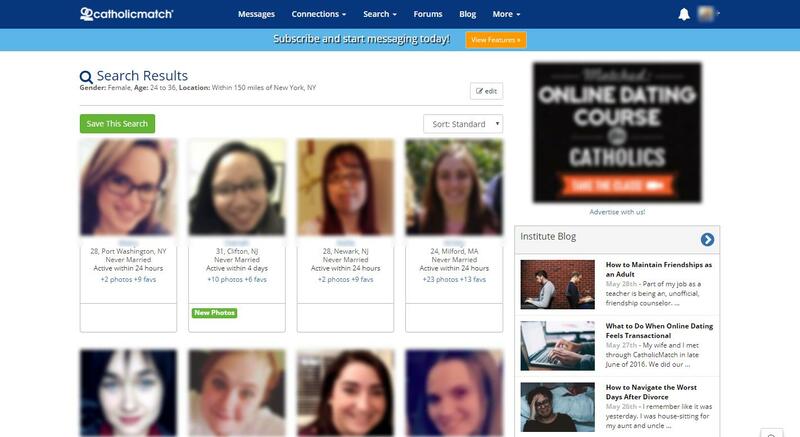 CatholicMatch Institute is also one amazing feature of this site. This has everything needed to know more about Catholic dating. From behavioral standards to dress recommendation, you can get essential information needed to be ready for a date. They updated periodically this feature. This is where this dating site sets apart from the rest. 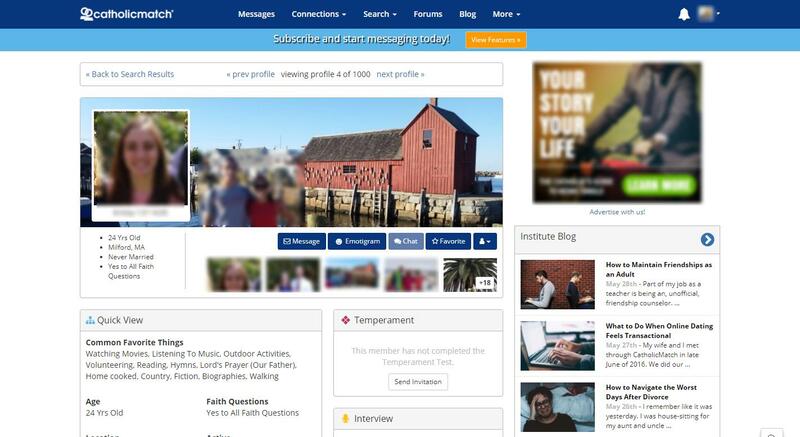 The questions you’ve answered related to faith during the sign-up process come in play afterwards, when other users viewing your profile. Your matches in lifestyle and belief can be a good foundation for a strong relationship. 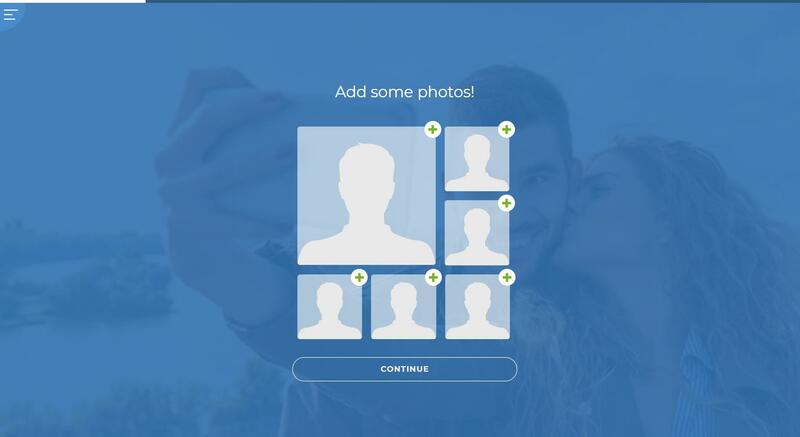 Matching System on the other hand, limit the choices when matching other member’s pictures, until you upload your own. This site notifies members each time someone visits their profile. 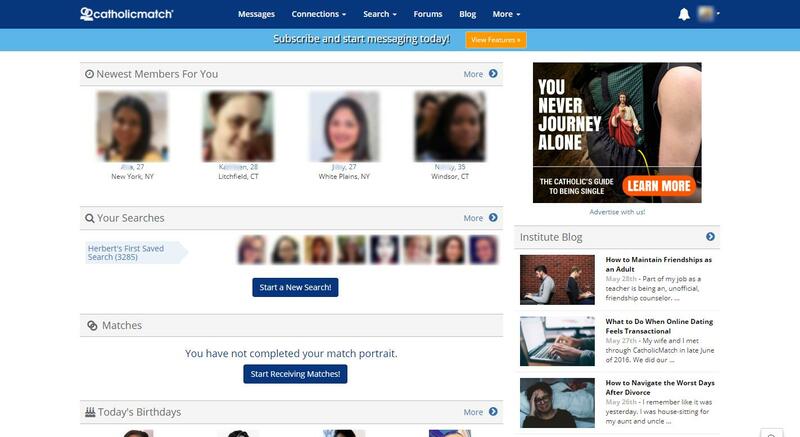 CartholicMatch.com boasts 3 amazing features; this includes the Match Portrait that works like a personality assessment. It assesses your answer and compares them to possible matches. Another feature is the Personal Interview that allows you make Q&A intended for other users. Lastly the Temperament Test that evaluates the natural tendencies as well as habits. 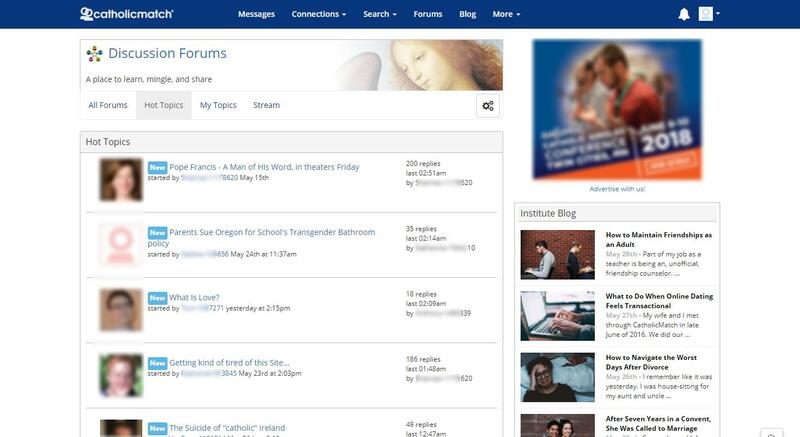 This site allows Christian members to meet and share their beliefs with each other in many ways. The basic way of keeping in touch with other members is by means of email messages, but users are permitted to start chatting as well. Aside from these, users can also participate in group discussion. 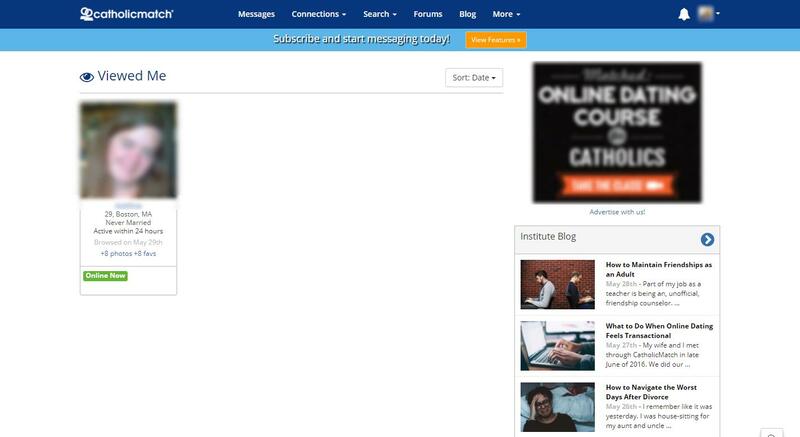 CatholicMatch.com has a blog section where members share opinions and ideas on many topics. 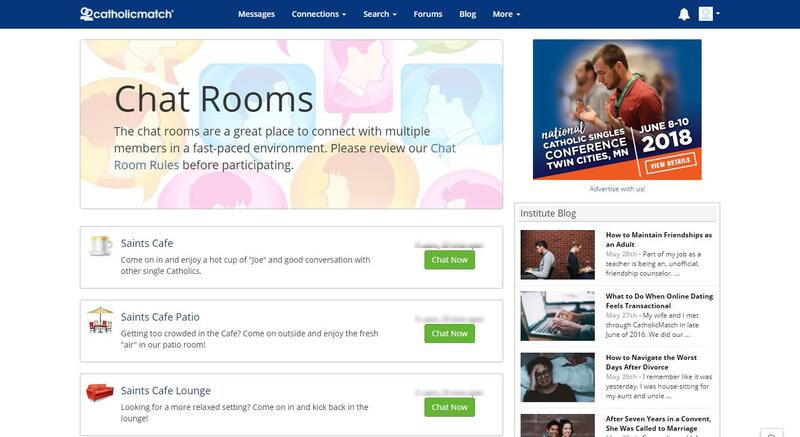 This site has 3 diverse chat rooms wherein 20 slots are open for everyone. But, you need to upgrade your membership to use this feature. At present, this dating platform is lacking in mobile support. 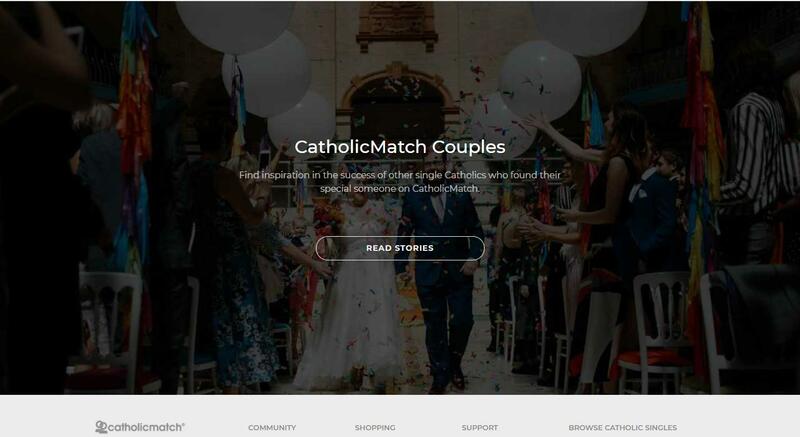 CatholicMatch.com just enabled a smartphone-compatible version of their site. However, the mobile-friendly site is compensative enough. Basically you get the same feature, with the general design and look carried over, with some modifications made to make things touchscreen friendly. Even if accessing this website from a mobile browser is hard, this is the only option available for now. 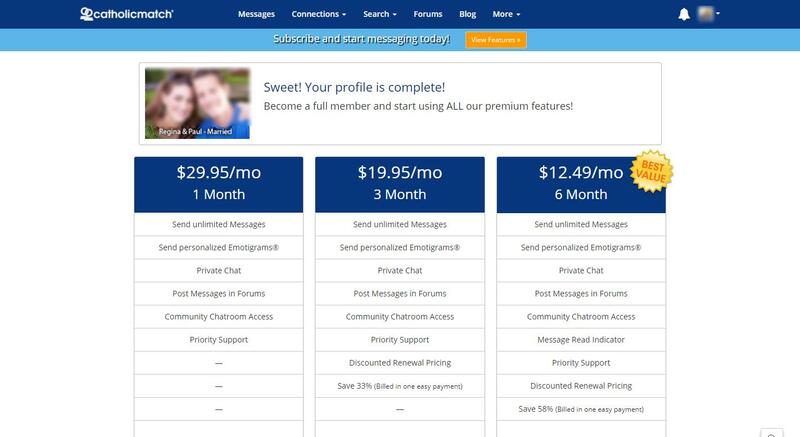 If you upgrade your account, you’ll have the chance to maximize the features this dating site offer. You can use the private message feature in which you can send and receive message from other users. This also allows you perform online and private chatting. 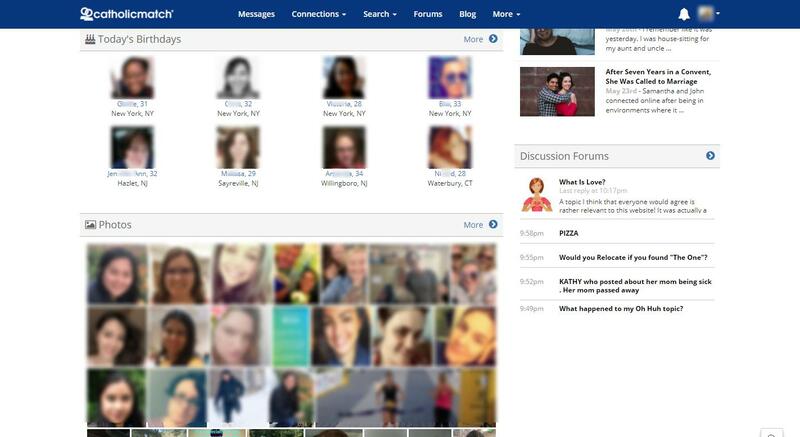 You’ll be able to partake in community forums that allow you meet other singles as well. This dating platform has stringent profile guidelines that one needs to adhere in order to become a member. 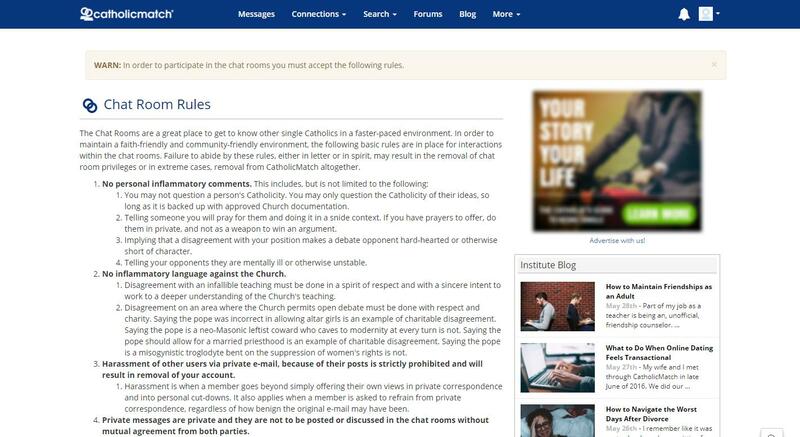 Also there is strict regulation that members need to follow prior to use diverse features of CatholicMatch.com, including the chat rooms. The matchmaking system on the other hand, gets rid of any members who shows rude performance or shows indications of bogus account. 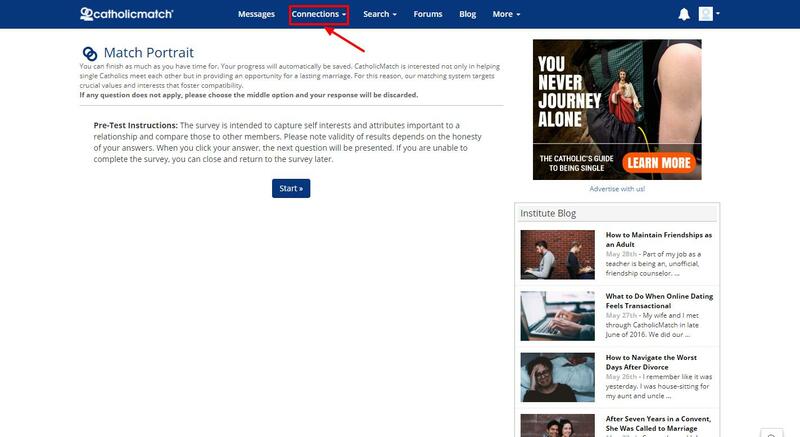 For members that face an issue, want any advice or want to report other users, this can be done through sending an email to customer service or through visiting CatholicMatch.com community forum. This dating platform also maintains an extremely active response on various social media sites like YouTube, Twitter as well as Facebook. Catholic Match is a reliable matchmaking site for Catholic singles from anywhere in the world. Aside from having a dependable matchmaking service which caters to those who value their belief in their rapport, this online dating site has some extras which make membership a remarkable experience. 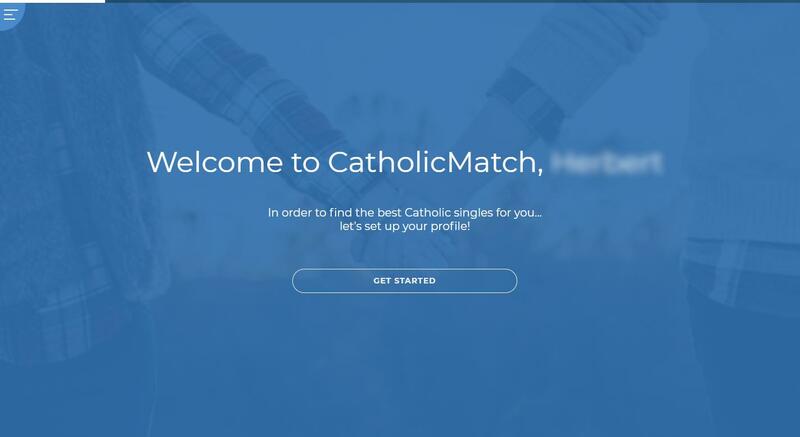 If you like CatholicMatch but aren't sure whether it's the best ideal choice for you, and may want to compare CatholicMatch with other online dating sites. You can take a look at our online dating sites comparisons below to discover if one of their competitors is more suitable for you.